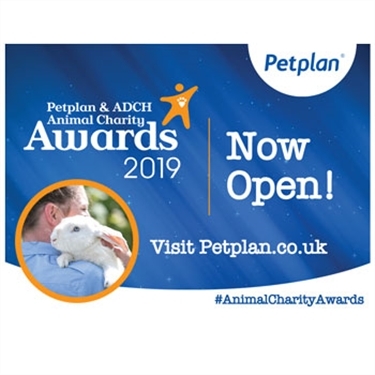 Nominations are open for the Petplan and Association of Dogs and Cats Homes (ADCH) Animal Charity Awards 2019. Now in their seventh year, the awards celebrate teams and individuals within the animal welfare sector who work tirelessly to rescue and rehome animals in need across the UK, Ireland and Channel Islands. Please support us or a valued member of the team for our efforts to improve animal welfare. Nominating is easy and anonymous – simply visit petplan.co.uk today and say ‘thank you’ to one of our volunteers, employees or teams who you think deserves to win!